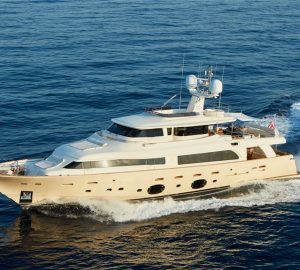 Available from Malta in the West Mediterranean, the Mulder-built 28.6m motor yacht FIREFLY is offering remaining September weeks at a reduced rate of 20% off. Built in 2015, she features exterior styling by Frank Laupman/Omega Architects and interior design from Vickers Design Studio. 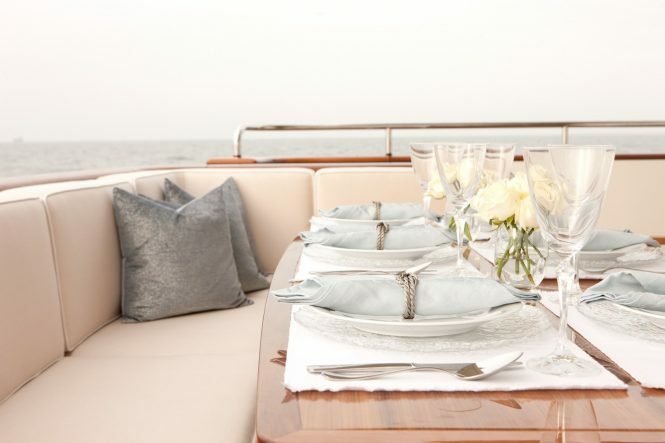 A maximum of 8 charter guests can be accommodated in 4 cabins. Her beautifully finished interiors are refined and luxurious. 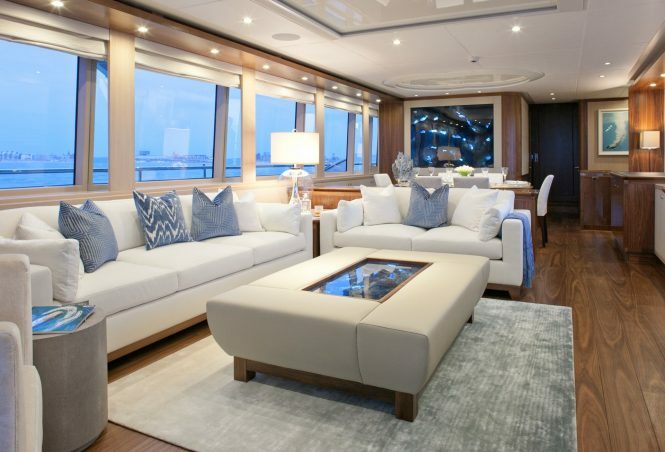 On the main deck, the salon and dining are laid to an open plan, with the lounge aft and dining forward. Contemporary fabrics in light neutral tones are paired with stunning woods, creating a sophisticated ambience. Surrounding large windows infuse the space with fantastic natural light and endless views. Located forward and on starboard is a convenient day head. 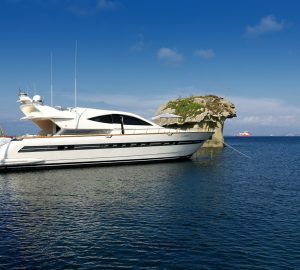 The outdoor lifestyle aboard the Mulder yacht is ideally suited to chartering, with 3 options, over 2 decks. 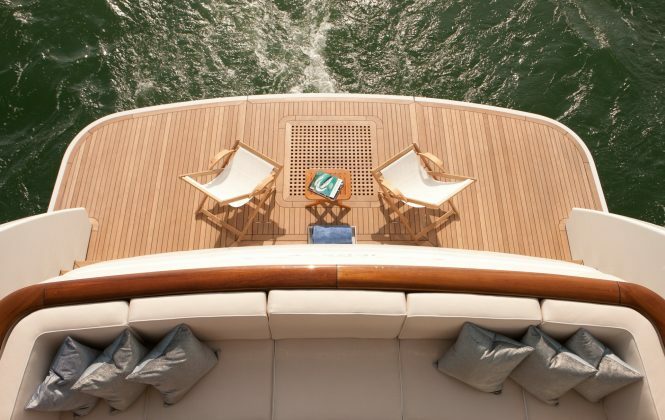 Adjacent to the salon is the aft deck, offering partial shade, seating and alfresco dining. Side decks lead forward to an additional alfresco dining arrangement. On the upper deck, dine alfresco under shade, sun or stars with the retractable rooftop, soak up the sun on the chaise lounge chairs and sip refreshing cool cocktails from the wet bar. 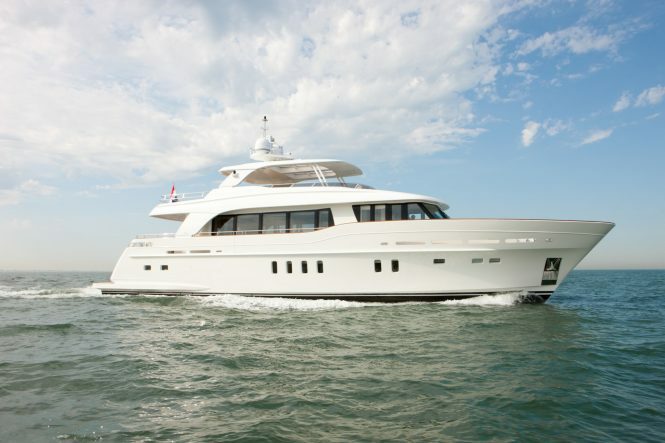 Accommodation is over cabins, for up to 8 charter guests aboard M/Y FIREFLY. They comprise a master stateroom, VIP cabin and 2 twin cabins. 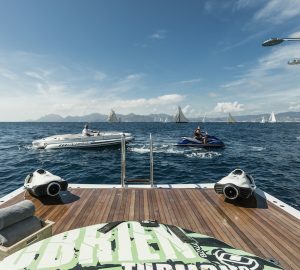 Powered by twin CAT 1150hp engines, the yacht has cruising speeds of 13 knots and top speeds of 15 knots. She is fitted with zero speed stabilizers. 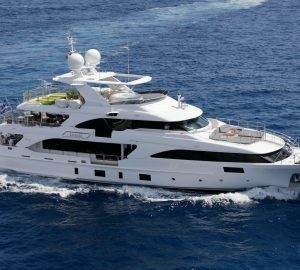 Please contact CharterWorld - the luxury yacht charter specialist - for more on superyacht news item "FIREFLY available with 20% discount for West Med charters".